Piggy Bank: @LittleMrGray's First Modeling Gig! So while we were on hiatus, @LittleMrGray was very busy! 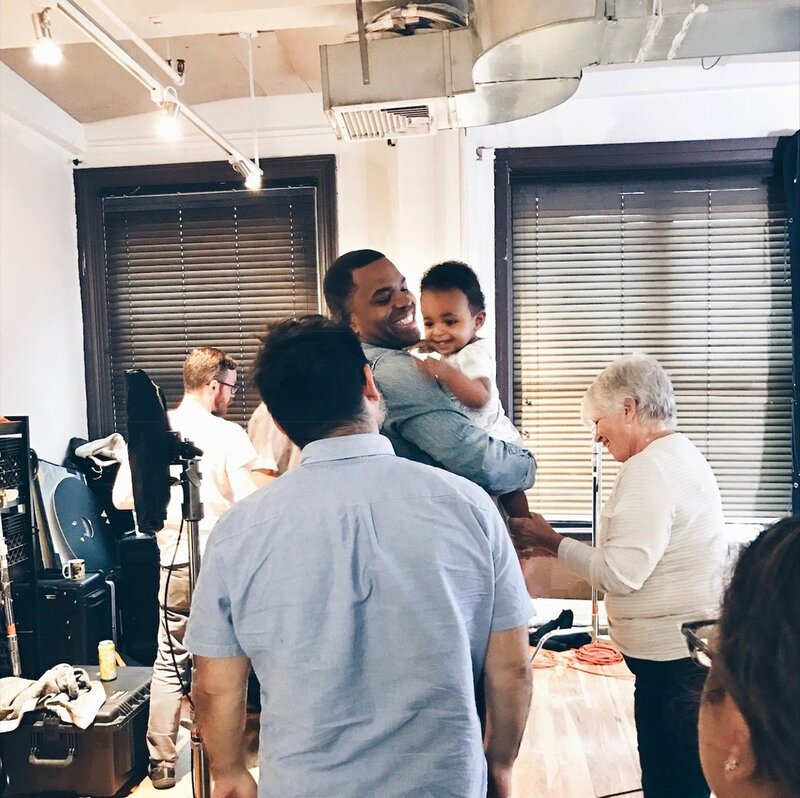 He was learning how to walk his first steps, talk his first words, and also book his first gig! Now let me preface this by stating that we are not the set of parents that are out seeking castings left and right. Nope, we are most definitely not show parents in the slightest way, and our careers wouldn't allow for it even if we tried! For this though, it was a matter of someone reaching out to me on Instagram and telling me that they sought racially ambiguous looking children like Gray, and they felt he would be great to submit for some open roles. From there, a spot came about for a digital campaign for BabyCenter in partnership with Aveeno, and they were looking for moms and babies to fit the bill. Never did we leave the house for this, and there wasn't even a formal audition. Simply a few rounds of emails, between the casting team and I, to send in photos of Gray in settings as they requested them. After about a month of back and forth, we were finally told that Gray got the job! The experience was super cute, and Gray did surprisingly well considering the 7:30am call time and a total of 4.5 hours on set! 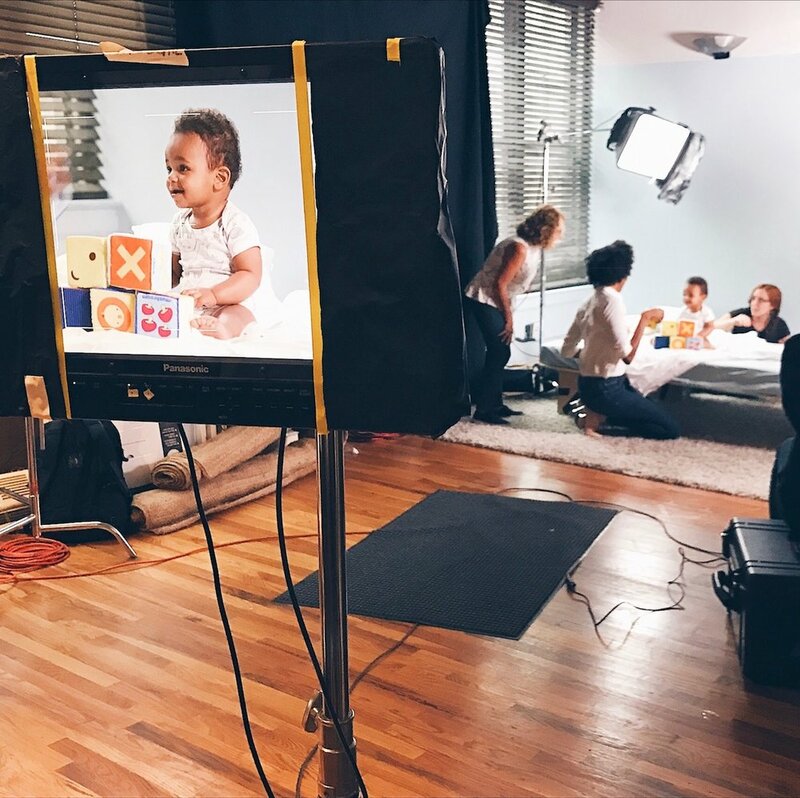 The campaign itself hasn't launched yet, but we expect to see it on BabyCenter's site; Aveeno and BabyCenter's YouTube, Facebook and Instagram channels with various digital use for a 2-year run starting in 2018! Since this shoot, we've made our way out to only two auditions. Those happened to work in line with our schedules and didn't take away from anyone's day or any of Gray's naps. Surely, there could be more, but the truth is that baby modeling isn't as easy for parents as it seems, or as this gig was honestly! A lot, if not most, of the auditions and castings that take place here in New York City are usually either in the mornings or the middle of the day; many may take several hours of wait time before your're seen, some will ask that you come back for more than one day, and sometimes you might not get seen at all. All of that just to audition; efforts aside, your child still may not book the job. So it's more often than not, a crapshoot. This gig was perfect for Grayson because he literally didn't even have to step foot outside of his crib! It was just a few pics back and forth and boom. Our baby showed up, performed, and as you see - did not disappoint! STRAIGHT OUTTA GOTHAM: A Fun Superhero and Super Villain Halloween Party - With A Modern Twist!